Toyota Motors America asked piXvfm to develop a program to train their Toyota and Lexus technicians about in-vehicle navigation system functionality and diagnostics. 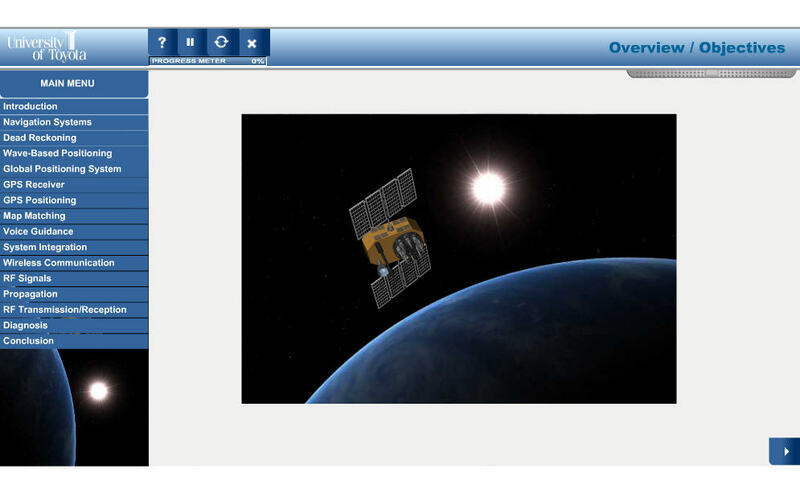 piXvfm worked with Toyota Instructional Designers to create an interactive e-learning program using animation to illustrate how navigation systems work with satellite networks, and virtual animation dashboards simulating navigation functionality on multiple generations of Toyota and Lexus in-dash navigation systems. 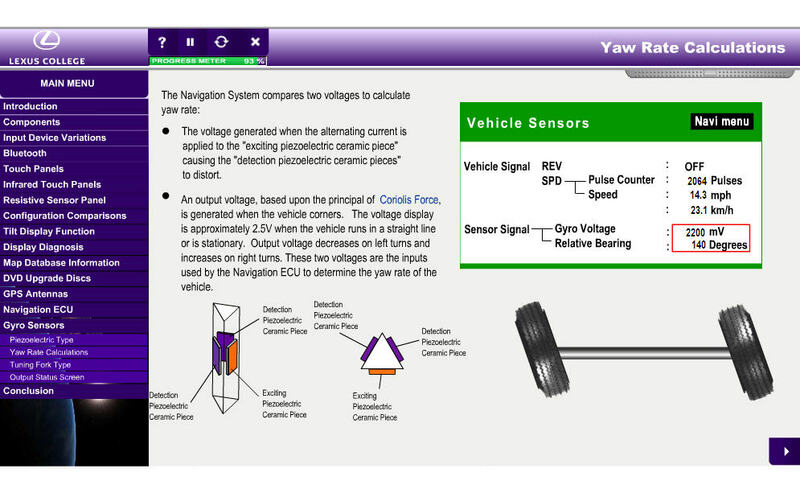 The e-learning programs, developed for both Toyota and Lexus brands, also feature an interactive demonstration of the TIS online database of automotive repair manuals and procedures.